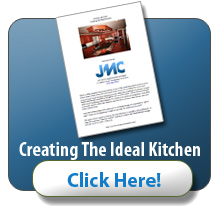 If you want to significantly impact the look and feel of your home, your kitchen is probably the best place to start. Designers and builders often refer to the kitchen as “the heart of the home” because so much of daily living involves activities that take place in the kitchen. The steps you take when you remodel can make your kitchen a place your family and guests love to be. Because the kitchen is so important to the life of a home, people (designers, builders and homeowners) are always looking for ways to improve the look and functionality of the kitchen. We thought you might like to take a look at a few of the trends that have emerged for 2013. Obviously, you don’t have to run with these trends if they don’t fit your lifestyle or match your taste. Still, it’s interesting to see how things change. And if you ever decide to sell your home, incorporating some newer trends can keep your home from looking dated. The National Kitchen and Bath Association (NKBA) surveyed about 350 of their designer members recently to see what kinds of products, materials and styles they had been specifying for their kitchen designs. Here’s a brief overview of some of their responses. Lighting Trends—Not terribly long ago it was considered kind of “trendy” to have energy-efficient lighting in the kitchen. It’s no longer simply the “in” thing to do. It’s a full-blown trend in the industry, and it’s evolved. LED lights have passed CFL lights in popularity. In recent projects 70 percent of designers specified LEDs, while only 26 percent specified CFL lights. Part of the reason for that is that homeowners just aren’t happy with the color of light CFL bulbs offer. And many are uneasy about the mercury found in the bulbs. New Backsplash Materials—Homeowners looking to make a splash with their backsplashes are opting for some newer materials. Natural stone and ceramic tile are still the most popular materials, but more designers have specified glass backsplashes now—up to 52 percent from a previous high of 41 percent. Granite is also very popular (at 30 percent), followed by quartz (at 20 percent). Faucet Style—The trend in faucets is one that reflects both improved functionality and style. It’s probably no big surprise that pull-out faucets have become the style of kitchen faucet most specified by designers (approximately 93 percent choose them over traditional styles). Faucets that can be pulled out from the sink (as opposed to standard “fixed place” faucets with stand-alone spray units) give modern kitchen sinks an elegant, streamlined look. Besides the visual appeal, homeowners are finding that installing a pull-out faucet often eliminates the need for a separate pot-filler faucet. throughout the years (and are still very popular). There are some designers, however, who seem to backing off from using cherry—at least a little bit. In 2010 approximately 80 percent of designers specified cherry as the wood of choice for kitchen cabinets. By 2012, that number had dropped to 69 percent. Even maple—the longtime “king” of cabinet woods—has seen a decrease in use (even though it remains very popular). Oak, walnut, birch and bamboo are growing in popularity, although they still aren’t specified as much as cherry and maple. Trends, of course, are not mandates. And just because something is popular doesn’t make it the right choice for you. All the same, it’s helpful to keep an eye on what’s happening in the kitchen and to keep the heart of your home looking fresh and inviting.